In my final post in the Holiday Smorgasbord series, I want to share two articles that are each directed at (and finding fault with) different ends of the political spectrum. I don’t think the point of either of these articles is to demonize individuals who embrace either conservatism or liberalism, but rather to point out that in general we are not being served by the mainstream political discourse from either perspective. I find these articles by Michael Klare and Erik Lindberg to bring an appropriate balance to one another. I close with the alternative offered by Peter Pogany. Pop the champagne corks in Washington! It’s party time for Big Energy. In the wake of the midterm elections, Republican energy hawks are ascendant, having taken the Senate and House by storm. They are preparing to put pressure on a president already presiding over a largely drill-baby-drill administration to take the last constraints off the development of North American fossil fuel reserves. The new Republican majority is certain to push their agenda on a variety of key issues, including tax reform and immigration. None of their initiatives, however, will have as catastrophic an impact as their coming drive to ensure that fossil fuels will dominate the nation’s energy landscape into the distant future, long after climate change has wrecked the planet and ruined the lives of millions of Americans. This post by Erik Lindberg is, as of this writing, showing 551 comments on the Resilience.org site – by far the largest number of comments I have ever seen on a single post at that site. Some liberals are taking offense, but I think are missing the point, as I stated at the top of this post. The conservative denial of the very fact of climate change looms large in the minds of many liberals. How, we ask, could people ignore so much solid and unrefuted evidence? Will they deny the existence of fire as Rome burns once again? With so much at stake, this denial is maddening, indeed. But almost never discussed is an unfortunate side-effect of this denial: it has all but insured that any national debate in America will occur in a place where most liberals are not required to challenge any of their own beliefs. The question has been reduced to a two-sided affair—is it happening or is it not—and liberals are obviously on the right side of that. If we broadened the debate just a little bit, however, we would see that most liberals have just moved a giant boat-load of denial down-stream, and that this denial is as harmful as that of conservatives. While the various aspects of liberal denial are my main overall topic, here, and will be addressed in our following five sections, they add up to the belief that we can avoid the most catastrophic levels of climate disruption without changing our fundamental way of life. This is myth is based on errors that are as profound and basic as the conservative denial of climate change itself. Pogany doesn’t mean there’s something all set up that we can easily and seamlessly transition to. On the contrary, he sees world history as a “thermodynamic process of self-organization,” which “precludes smooth transition from one relative, globally valid steady state to the next.” (quoted from his 2006 book Rethinking the World). But he does see, based on his own work, as well as that of Jean Gebser (The Ever Present Origin) that after a period of chaotic transition, we will move “toward a new form of self-organization that would recognize limits to demographic-economic expansion. What will it take to go from the current hostile disgust with the dystopia of tightened modes of multilateral governance to people around the world on their knees begging for a planetary guild? It will take nothing less than a mutation in consciousness, as outlined in the oeuvre of Jean Gebser (1905-1973).” (quoted from his 2013 paper on Thermodynamic Isolation and the New World Order). This is no fairy tale, and yes, human agency is definitely involved. 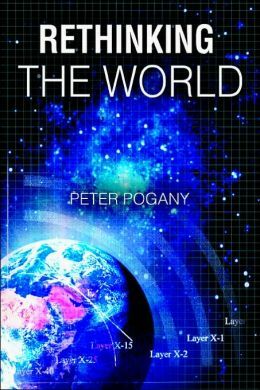 Pogany’s approach is a systems thinking approach with a the laws of thermodynamics as a foundation, and built around his own expertise as an economist; he calls his approach new historical materialism. Sadly, Peter Pogany passed away in May of this year. May he rest in peace. The primary deliverable from the IEA is the massive World Energy Outlook (WEO) report that is released annually in November. Concerned about peak oil, I began reading the Executive Summary to this report 10 years ago. Yves Cochet’s Preface to the French edition of Permaculture: Principles and Pathways Beyond Sustainability. There’s a lot of confusion going on right now – as the price of gasoline in the U.S. is declining, we are becoming ever more complacent…. Two voices that I have been following off and on for the last decade, and who have both been warning about limits to growth, and more importantly what we as individuals can do about it: Nate Hagens and John Michael Greer. Claiming that one such sphere is the only thing that makes human life worthwhile is an error of the same kind. If Ervino feels that scientific and technological progress is the only thing that makes his own personal life worth living, that’s his call, and presumably he has reasons for it. If he tries to say that that’s true for me, he’s wrong—there are plenty of things that make my life worth living—and if he’s trying to make the same claim for every human being who will ever live, that strikes me as a profoundly impoverished view of the richness of human possibility. Insisting that scientific and technological progress are the only acts of human beings that differentiate their existence from that of a plant isn’t much better. Dante’s Divina Commedia, to cite the obvious example, is neither a scientific paper nor a technological invention; does that mean that it belongs in the same category as the noise made by hogs grunting in the mud? …As for me—well, all things considered, I find that being alive beats the stuffing out of the alternative, and that’s true even though I live in a troubled age in which scientific and technological progress show every sign of grinding to a halt in the near future, and in which warfare, injustice, famine, pestilence, and the collapse of widely held beliefs are matters of common experience. The notion that life has to justify itself to me seems, if I may be frank, faintly silly, and so does the comparable claim that I have to justify my existence to it, or to anyone else. Here I am; I did not make the world; quite the contrary, the world made me, and put me in the irreducibly personal situation in which I find myself. Given that I’m here, where and when I happen to be, there are any number of things that I can choose to do, or not do; and it so happens that one of the things I choose to do is to prepare, and help others prepare, for the long decline of industrial civilization and the coming of the dark age that will follow it. Read Facts, Values, and Dark Beer here. There’s a lot of confusion going on right now – as the price of gasoline in the U.S. is declining, we are becoming ever more complacent. 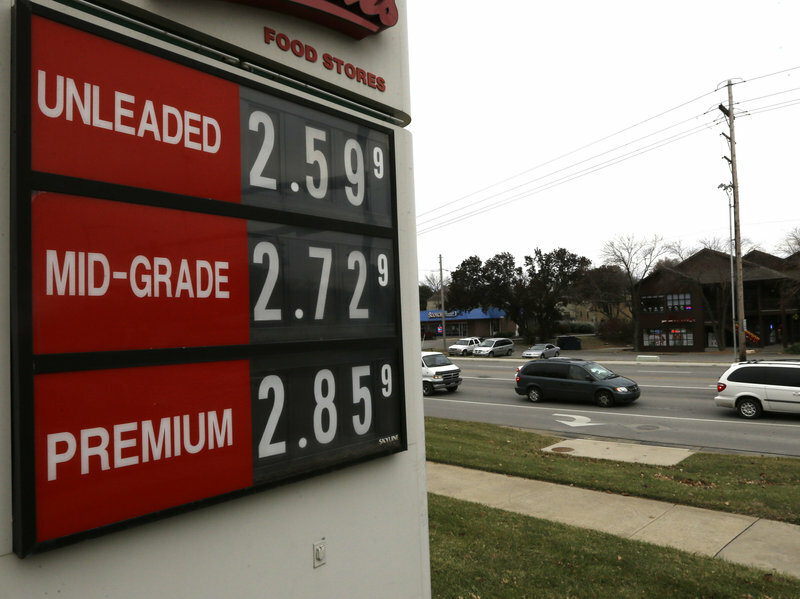 Today we saw another steep drop in the price of oil to a four year low under $68/barrel. Is this a sign that peak oil is dead, and that we have indeed entered a new era of energy independence in the U.S., thanks to the fracking phenomena, giving us an expanding bonanza of shale oil and gas? Today’s installment in our Holiday Smorgasbord series takes a look at these issues, and the significance of the decision made yesterday by OPEC to keep oil production at current levels. Let’s begin with this question: Why are oil prices collapsing, and why is gasoline getting cheaper? I think this is the question on many people’s minds. And then there is the further question, why might this be a problem? There are a number of possible reasons why oil prices are decreasing. Check out Kurt Cobb’s piece to explore a number of these reasons. The reason that makes the most sense to me, and I think intelligent consensus has pretty much converged upon, is that OPEC is currently flooding the market with oil in an attempt to recapture market share from the higher cost unconventional shale oil being produced in the U.S.
Why might this be a problem? Ugo Bardi explained the situation quite well in a recent briefing he gave to the EU Parliament. Bardi is a physical chemistry professor at the University of Florence, in Italy, and is a leading authority on resource depletion. “Ultimately, it is the cost of production that generates the lower price limit. Here, we get into the core of the problem. As you see from the price chart above, up to about the year 2000, there was no problem for producers to make a profit selling oil at around 20 dollars per barrel. Then something changed that caused the prices to rise up. That something has a name: it is depletion. “We have been hearing for so long that the problem of “peak oil” will be inadequate supply and high prices that we cannot adjust our thinking to the real situation. In fact, the two major problems of oil limits are likely to be shrinking debt and shrinking wages. The reason that oil supply will drop is likely to be because customers cannot afford to pay for it; they don’t have jobs that pay well and they can’t get loans. And so let’s look at Chris Martenson’s Crash Course on Shale Oil. Martenson has a way of taking a complicated subject and presenting it in a way that is clear and easy to follow. This is a 28 minute video that provide some context for what follows below. Check out the Peak Prosperity blog post and transcript on the Shale Oil Crash Course here. On November 12th a cautious, mainstream, historically optimistic organization – the International Energy Agency (IEA) put out what is perhaps it’s most urgent warning yet in its major yearly World Energy Outlook report. As I pointed out in a previous post (Watching the Watchdogs: 10 Years of the IEA World Energy Outlook), the IEA has only very slowly come around to discussing possible supply disruptions. Serving the energy industry as well as trying not to offend mainstream political and economic sensibilities, and not wanting to disrupt financial markets, you can imagine a cautious approach to addressing issues such as peak oil or climate change. And so, when they put out warnings, it probably means it’s very late in the game indeed. Energy security is a heightened and growing risk – set to move up very high in the international policy agenda. Upward pressure on oil demand growth and downward pressure on price may lead to a growing reliance on Middle East oil, “where instability is the name of the game,” before 2020. Regardless, we’re likely to see declining output from the U.S., Canada, and Brazil by 2020, by which time we’ll almost certainly be more dependent than ever upon the Middle East conventional oil to meet our oil supply demand [this after having stated in their 2010 report that conventional oil peaked in 2006. At that time they stated that it would be unconventional oil and natural gas liquids that would fill the gap and allow supply to grow through 2035]. The $550 billion in subsidies for fossil fuels needs to be reconsidered. The information above provides context for yesterday’s much anticipated OPEC meeting, where they declined to make any production changes. As Fatih Birol warned above, this non-action keeps a downward pressure on the oil price and poses big problems for the shale oil industry, which needs prices above $80 a barrel to keep their heads above water. And if the shale oil industry falters, so does the hope for even a short term respite from concerns about an adequate oil supply for world markets. Reporter Peter Kenyon explained the problem: If OPEC were to cut production, they would cede market share to American producers of shale oil, whose current production has limited the ability of OPEC to control price. If OPEC does not cut production, that will hurt the less well-off OPEC producers who are in need of higher priced oil revenues. However, (as pointed out above), this more so hurts the Americans as OPEC tries to push the expensive to produce shale oil out of the market. And so we come to today, Nov. 28, 2014, where USA Today has just reported Dow ekes out record close; oil plummets 8.2%. “A barrel of Texas Intermediate crude was at $67.74 Friday afternoon Eastern Time — a whopping 8.2% drop.” In the short term, it’s a relief for consumers and markets, but the signals this sends for the medium term are troubling. Yves Cochet has written the preface to the French edition of David Holmgren’s Permaculture: Principles and Pathways Beyond Sustainability. Yves Cochet was a minister for the environment in the French national government, and is now an elected member of Euro parliament for the Greens. Insofar as permaculture is an effective response to the limitations on use of energy and natural resources, it will move from its current status as “alternative response to environmental crisis” to the social and economic mainstream of the post-industrial era. Whether it will be called permaculture or not is a secondary matter. In the new French edition, Cochet shows a keen understanding of Holmgren’s thought. It is clear, it is succinct, and I think very well captures David Holmgren’s message on the essence of Permaculture, and I highly recommend taking a look at the English translation. Translated by Eugene Moreau and edited by David Holmgren. More than an agricultural technology, permaculture is a vision of the societies of tomorrow, ours, which will be confronted with the evolution of energy and climate systems. Permaculture is not only another way to garden: it is another way of thinking about and acting on the world, a global philosophical and concrete change. At the same time permaculture draws together strategies of resilience in the face of imminent radical transformations, if not collapses. Download the entire translated preface from David Holmgren’s website here: Permaculture, a vision of a post-oil world. And join me today in giving thanks for Permaculture! Read the full story here: What Climate Change Means for a Land of Glaciers. Listen to the NPR report here. The above story is especially poignant, as it has been recently revealed that NPR has gutted its climate coverage and reduced environmental reporting to one part-time reporter. The story broke on Inside Climate News, with further commentary by Joe Romm at Think Progress, who now puts NPR into the category of “part of the problem.” Credo has a clicktivism campaign going on in response, in case you care to participate: Tell NPR: Don’t reduce your coverage of climate change and other environmental issues. Related: Climate Change Threatens to Strip the Identity of Glacier National Park from the New York Times. The International Energy Agency (IEA) is the energy watchdog of the industrial world. The developed nations of the world were caught off guard by the oil crisis of 1973. They then realized energy resources are so fundamental to all of civilization, and recognized how vulnerable we are to supply disruptions. Forty years ago in 1974, the International Energy Agency was formed, tasked with keeping an eye on these precious resources, and providing policy makers around the world with information to make better informed planning decisions. 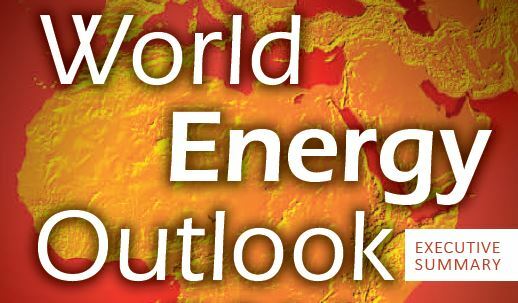 The primary deliverable from the IEA is the massive World Energy Outlook (WEO) report that is released annually in November. Concerned about peak oil, I began reading the Executive Summary to this report 10 years ago. Five years ago I wrote a summary of what the report has been telling us from 2005 – 2009, concerning issues related to peak oil: The IEA and World Oil Supply Projections. Given that another 5 years have passed, I offer an update, which will bring us to today’s release of the 2014 World Energy Outlook. The short version is this: The IEA World Energy Outlook has gradually moved from rosy to pessimistic reports over the last ten years, or what Stuart Staniford called “increasingly reality-based.” Over the last decade, the report’s projected oil demand has gradually decreased by 20 million barrels per day (mb/d), and the projected costs have continued to rise. Yet even their most pessimistic reports, I believe, fail to capture true reality. It seems that politics plays a strong role in what is allowed to be published. It also must be stated that predicting the future “is a fool’s errand,” as Kurt Cobb reminds us in his review of the 2013 report. Not that the report tries to predict the future – its purported purpose is to lay out realistic scenarios that allow for intelligent planning by policymakers. However, the scenarios have not turned out to be realistic, and that’s the rub. So why should we pay any attention at all to these yearly exercises? 1) because the IEA has access to the most comprehensive data available; 2) because there is much useful information if you learn to read between the lines; and 3) because they are considered the voice of authority by so many; and 4) because it is intriguing (to me anyway), to follow the trajectory, year by year, comparing the changes and the contradictions, and trying to learn something in the process. The bottom line of the latest report released today, November 12, 2014, is that we live with an energy system under extreme stress and danger, and sustained political efforts are essential and urgent if we are to avert both supply disruptions and climate disaster. For a couple of independent reports that I feel are more realistic, see the end of the post. It has been reported that the IEA was aware of peak oil as far back as 1998. 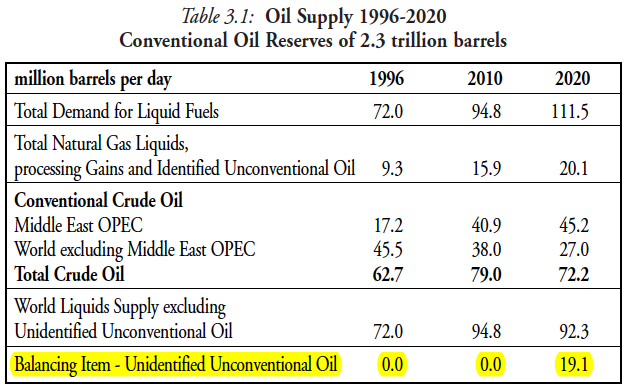 Researcher Lionel Badal has uncovered the story (a fascinating tale) that the 1998 WEO contained an oil supply graph that included “a balancing item” that they named “unidentified unconventional oil” that conveniently made up for shortages beyond 2010. This was said to have been a code to indicate peak oil. The political fallout that resulted after publication of that report resulted in very conservative WEO reports from 2000 to the present. 2005 was the year world oil production begain its multi-year plateau, after steady increases for many years, and is now regarded by many as the world peak of conventional oil production (see also here). It was also the year The Hirsch Report was produced for the U.S. Dept. of Energy, warning that “The peaking of world oil production presents the U.S. and the world with an unprecedented risk management problem,” and that mitigation needed to be implemented 20 years in advance of the peak.” In 2005, peak oil was still seen as a pretty fringe idea. The then executive director of the IEA, Claude Mandil dismissed the idea of peak oil out of hand and stated confidently that “Hydrocarbon resources around the world are abundant and will easily fuel the world through its transition to a sustainable energy future.” [International Energy Agency, 2005. Resources to Reserves: Oil and Gas Technologies for the Energy Markets of the Future, page 3. 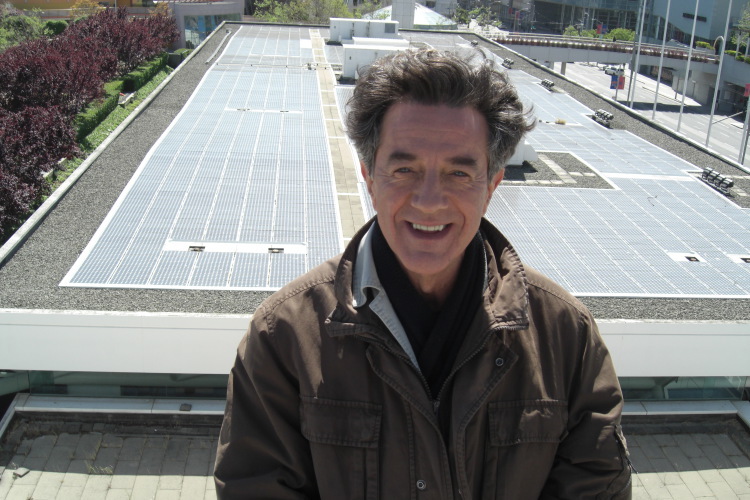 IEA, Paris, quoted by G. Monbiot, http://www.monbiot.com/2008/12/15/at-last-a-date/]. In the 2005 WEO, Oil demand by 2030 was projected to be 120 mb/d. In 2006, the peak oil community was pointing out that after years of steadily increasing supply of oil, production had been flat for a full year since 2005 – perhaps “peak oil” had arrived. The 2006 WEO began lowering expectations of demand growth from 120 million barrels per day (mb/d) to 116 mb/d by 2030. 2007: A Supply Crunch in 2015? The tone of the 2007 World Energy Outlook was noticeably becoming less rosy. They discussed decline in output from existing fields, admitted the possibility of a temporary supply crunch in 2015, and expressed concern about whether investment needed to meet future demand would be forthcoming. It was noted that we were becoming more dependent on a few Middle Eastern countries as declines in output from other countries increased. Demand was still projected to be 116 mb/d by 2030. “The world is much closer to running out of oil than official estimates admit, according to a whistleblower at the International Energy Agency who claims it has been deliberately underplaying a looming shortage for fear of triggering panic buying. This article reinforced my already existing opinion that 1) The WEO is written by committee, and represents numerous interests, resulting in reports that tend to favor conservative statements, and 2) that political influence also strongly tempers what is allowed to be conveyed in these reports. Reading the Executive Summaries, one often gets there are competing, sometimes contradictory ideas vying for predominance. These reports, therefore, have to be read with a grain of salt, and a carefull eye to read between the lines. What keeps me coming back to these reports each year is this tracking of the changes to their statements over time – mostly in the direction of increased pessimism. The 2009 WEO reports the results of two scenarios: a Reference Scenario – a baseline of expectations if governments make no changes to existing policies; and a 450 Scenario, “which depicts a world in which collective policy action is taken to limit the long-term concentration of greenhouse gases in the atmosphere to 450 parts per million of CO2-equivalent (ppm CO2-eq).” Continuing on the current energy path in the Reference Scenario is said to lead to “alarming consequences for climate change and energy security.” Oil demand in 2030 is expected to be 105 mb/d, down just 1 mb/d from the 2008 report, but they state that for importing countries this would require “increasingly high level of spending…representing a major economic burden for importers, with OECD countries spending 2% of their GDP on oil and gas imports. 2010: Peak Oil Occurred in 2006 – Did We Forget to Tell You? So, of course, this is not really a problem, according to the WEO, because natural gas liquids and unconventional oil [tar sands, shale oil (tight oil), oil shales, biofuels, etc.] will make up the difference (at least until 2035), provided, of course, that the usual caveat of proper investment is attended to. In 2010, three scenarios are presented: The Current Policies Scenario, which projects a 1.4% energy demand growth, a 450 Scenario (a scenario designed to keep climate change to 2 degrees C of warming), which projects a 0.7% demand growth, and, for the first time, a New Policies Scenario, “that anticipates future action by governments to meet the commitments they have made to tackle climate change and growing energy insecurity.” The New Policies Scenario projects an energy demand growth of 1.2% per year. For comparison, it is noted that the previous 27 year period experienced 2% demand growth per year. It is acknowledged that the New Policies are not nearly adequate for the crisis we face. These new policies suggest trends that could put greenhouse gases at over 650 ppm, and would likely result in a temperature increase of more than 3.5 degrees C.
Nevertheless, New Policies now becomes the reference scenario in the WEO, and oil demand is projected to reach 99 mb/d in 2035 under this scenario (down from 105 mb/d by 2030 in 2009). To get to those 99 mb/d, the report sees OPEC needing to boost its output by over one-half, with Iraq tasked with “a large share” of that increase. Non-OPEC oil production is expected to be held broadly constant by unconventional oil production and natural gas liquids (NGL), which will then start to drop at the end of the period. The report then offers another disclaimer: “The size of ultimately recoverable resources of both conventional and of unconventional oil is a major source of uncertainty for the long-term outlook for world oil production.” For me, it does not inspire much confidence to be putting our hopes for a growing supply of oil for the next 20 years on the Middle East, especially when the bulk of it must come from Iraq. According to the report, 40% of oil production in 2035 will need to come from fields not yet found. Permission is granted to jump to the end of this post to see the 2014 graph showing a decline in unconventional oil produced by Brazil, Canada, and the U.S. well before the 2030s. Projected demand for oil remains at 99 mb/d for 2035. “To compensate for declining crude oil production at existing fields, 47 mb/d capacity additions are required, twice the current total oil production of all OPEC countries in the Middle East.” Once again, the shortfall is expected to be made up from NGL, unconventional sources, and the largest increase from Iraq. Light tight oil (LTO, or shale oil) from the U.S. is acknowledged as playing a significant role to allow us to decrease imports, but the IEA is not yet hailing it as the savior (but see below regarding natural gas). Also mentioned is an increasing dependence on oil from the MENA (Middle East/North Africa) region, which must rely on vulnerable supply routes. “In aggregate, the increase in production from this region is over 90% of the required growth in world oil output, pushing the share of OPEC in global production above 50% in 2035.” With the caveat, again, of sufficient investment. Natural Gas – You Gotta Wear Shades! Dropping the caveats of uncertainty, the report trumpets “Golden prospects for natural gas… a bright future, even a golden age, for natural gas.” This is due to the revolution in hydraulic fracturing (“fracking”) and horizontal drilling, making unconventional gas half of the estimated resource base. 2012: Don’t Look Over Here – Everything’s OK, and the Kids Will Be Alright! The U.S. All but Self-Sufficient – “Saudi America”!? In regards to oil demand expected in 2035, the quantity remains from 2011 (99 mb/d), but the price has increased from $210/barrel in nominal terms to $215/barrel. Renewables are expected to become the second-largest source of power in the world by 2035 and will closely match coal as a source of electricity. This transformation is being driven by falling technology costs, rising fossil-fuel prices, and continued subsidies. Water is given some attention in this year’s report, acknowledging that “energy is becoming a thirstier resource,” with water needs projected to grow at twice the rate of energy demand. “The vulnerability of the energy sector to water constraints is widely spread geographically,” increasingly affecting many of the existing and emerging energy technologies, such as shale gas development, Canadian tar sands, maintaining power plants in India, and maintaining oil field pressures. The 2013 WEO Report repeats some of the themes from 2012: “China dominates the picture within Asia, before India takes over from 2020 as the principle engine of growth. …China is about to become the largest oil-importing country and India becomes the largest importer of coal by the early 2020s. The United States moves steadily towards meeting all of its energy needs from domestic resources by 2035.” And the world is still on a trajectory towards 3.6 degrees C of global warming. No Era of Abundance? That’s Not the Future We Ordered! In the next paragraph, a statement somewhat contradictory of the previous paragraph is made: “The role of OPEC countries in quenching the world’s thirst for oil is reduced temporarily over the next ten years by rising output from the United States, from oil sands in Canada, from deepwater production in Brazil and from natural gas liquids from all over the world. But, by the mid-2020s, non-OPEC production starts to fall back and countries in the Middle East provide most of the increase in global supply.” In one sentence the U.S. is seen as meeting “the growing gap” between demand and conventional crude to 2035, and in another it is implied that the U.S., or at least non-OPEC production in total will be declining a decade earlier by the mid 2020s. In June of this year (2014), I wrote a post titled New Energy Report from I.E.A. Forecasts A Decline in North American Energy Supply about a special report titled World Energy Investment Outlook. I noted the dramatic shift in stance and in tone from 2012, when the agency forecast that the U.S. would overtake Saudi Arabia in oil production by 2020, and that North America would be a net oil exporter by 2030. Now they were telling us that output from North America will plateau and then fall back from the mid-2020s onwards. The focus of the new report released by the IEA today is on how much investment in the energy sector is going to be needed in the next 20 years (World Energy Investment Outlook). The numbers are sobering. They estimate that $48 trillion dollars needs to be invested to meet energy needs…but really it needs to be closer to $53 trillion if we want to address climate change. They don’t even bother talking about a 350 parts per million target, but rather 450 parts per million to limit global warming to 2 degrees C.
Kurt Cobb characterized the 2013 report as sounding “like a group of Gloomy Guses.” The 2014 report is, I believe, the gloomiest we’ve seen yet. This year’s report projects to 2040, when energy demand is expected to have grown by 37%. For the last two decades demand has grown by 2% per year, but they see it slowing to 1% per year after 2025 as the result of price pressure (due to limited and more expensive energy), policy effects as the world attempts to grapple with climate change, and also due to an expected change in the structure of the global economy, with a greater emphasis on services and lighter industrial sectors. World demand growth is expected to decline to 0.3% by the 2030s as it moves towards a plateau in global oil consumption. We are reminded yet again that even though policies are in place that will bring the share of fossil-fuels in the energy mix to less than three-quarters in 2040 of what it is today, it won’t be enough to contain the rise in carbon-dioxide emissions that keep us on the path that could result in a global average temperature increase of 3.6 degrees C. Urgent action is required. A special report on climate action is being prepared for release in min-2015 in preparation for the UN climate summit in Paris, possibly a “last chance” to contain carbon-dioxide emissions – the Central Scenario shows that the entire global CO2 budget to 2100 that would hold us to 2 degrees C of warming will be used up by 2040. Is There a Hidden Code in this Graph? 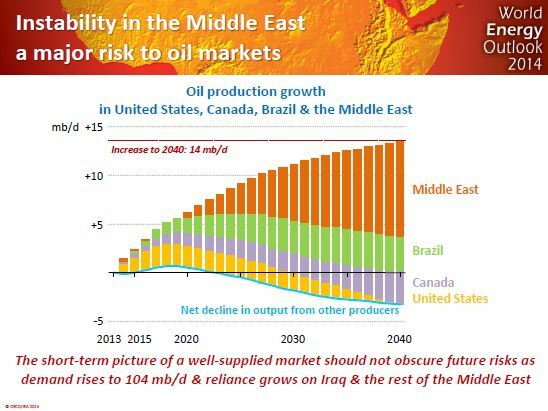 Note the graph below, taken from the slideshow accompanying the press release of this report, which shows declining output in the U.S. before 2020, and the enormous burden placed on Iraq and a small number of other Middle East countries after 2020 to make up both the shortfall from declines everywhere else, plus meeting expected demand – regardless of the instability in the Middle East, isn’t this conventional oil that the 2010 report told us had peaked in 2006? Renewable energy received $120 billion in subsidies in 2013. Oil, coal, and gas received over 4 times that much, with $550 billion in subsidies. Looking at renewable industries to 2040, wind power is expected to grow globally by 34%, hydropower by 30%, and solar technologies by 18%. Renewables are expected to account for nearly half of the increase in total electricity generation by that time. Use of biofuels is expected to triple, and use of renewables for heat will more than double. Yet none of this will be enough to cut carbon dioxide emissions to acceptable levels. Nuclear power is projected to increase by 60%, but its share of electricity generation will rise by only 1%. According to the IEA, if policies are enacted to decrease use of nuclear power (in its Low Nuclear Case scenario, global capacity drops by 7%), “indicators of energy security tend to deteriorate in those countries that utilize nuclear power.” It is also emphasized that “Nuclear power is one of the few options available at scale to reduce carbon-dioxide emissions while providing or displacing other forms of base load generation.” With almost 200 reactors scheduled to be retired, this presents an acute energy security challenge. The cost of decommissioning these nuclear facilities is estimated to be in the range of $100 billion, while acknowledging there are “considerable uncertainties” about these costs. The number of countries operating nuclear plants will rise from 31 to 36, “as newcomers outnumber those that phase out nuclear power.” The total of spent nuclear fuel will double, even though no country has yet opened a permanent disposal facility. The Executive Summary closes as it usually does with attention given to areas of the world that have extremely limited access to adequate energy supplies. Emphasis is given this year to sub-Saharan Africa, where 620 million people do not have access to electricity and where 730 million do not have adequate cooking facilities, resulting in nearly 600,000 premature deaths per year due to indoor air pollution. The area is rich in largely undeveloped energy resources – the challenge being to develop these resources in ways that are equitable for the people who live in this region. The IEA is becoming increasingly more realistic as they move beyond demand driven scenarios, and acknowledge that the era of easy oil is over. The alternatives we are left with are becoming increasingly expensive – from unconventional fossil fuels like tar sands and shale plays, to renewables. However, at some point (a point we may have already passed), geology responds less and less to the human construct we call money. We’re currently living at the high point of the fossil fuel Pulse, and I don’t believe we can negotiate an avoidance of the backside of the pulse’s decline – but we can take measures to make a graceful descent if we begin early enough (ten years ago). I’d like to recommend two additional independently produced reports, which when combined, I feel give an even more realistic picture of what we’re dealing with in terms of oil supply. The first is a presentation prepared by energy investment banker and analyst Steven Kopits, Global Oil Market Forecasting: Main Approaches and Key Drivers, which I wrote about here. and with a follow-up here. Kopits explains the predicament of the rising costs of oil production, and argues for supply based rather than demand based forecasting. The second recommendation is Drilling Deeper: A Reality Check on U.S. Government Forecasts for a Lasting Tight Oil & Shale Gas Boom, by David Hughes, a respected and experienced geologist working for the Post Carbon Institute. This report confirms that tight oil in the U.S. will most likely peak before 2020 – matching the current IEA forecast, but the decline thereafter will probably be more rapid than the IEA is estimating. For a commentary on this report, see Asher Miller’s (executive director of Post Carbon Institute) The Revolution that Wasn’t: Why the Fracking Phenomenon Will Leave Us High and Dry. Finally, if you’re wondering about the current decline in oil prices (I planned to cover it more in this piece, but ran out of space and time), check out Ugo Bardi and Gail Tverberg. You can find the older WEO reports here. Thanks for asking. I can imagine that many of you, like me, are really turned off by the all of the political ads coming at you from radio, TV, and direct mailings. The most frustrating part is that most of the money being spent on these ads are not doing anything to seriously educate the voting public, but rather simple messages that have been researched by marketing experts to push buttons in order to achieve knee jerk voting reactions. I received a big two page fold-out mailer the other day that had a bunch of scary looking guns on the front. I opened the page, hoping to see some informative content on the inside, only to find two totally blank pages, except for a box in the lower right corner telling me to vote yes on 594! I urge you, however, to put this distasteful phenomena behind you and remember to cast your ballot. It is as important as ever. The small races close to home may be more important than the big, national races, and your chance of making an impact are higher here as well. Case in point: If you care about the proposed coal port at Cherry Point, I believe the most important races for those of us in Whatcom County are the neglected Charter Review Commission. The safest recommendation for the commission is to straight up vote only for the Democratic party endorsed candidates. The Republicans are mostly supporting a proposal that would take decision making power regarding the coal terminal out of the hands of the County Council and giving it to the County Executive. They are also supporting redistricting, which will restrict people voting for County Council to only vote for the district they reside in. This would give conservative candidates in the County a distinct advantage. Both of these moves are “pro coal” moves. See Flip’s list of Democratic party endorsements below. You can vote for 5 commissioners in each district, but in one case there are only 3 candidates endorsed, and you don’t have to vote for more. In general, I think the choices are pretty straightforward this year. Tim Johnson, of Cascadia Weekly had an astute observation: “You vote for the individual, but you elect the caucus.” In other words, there may be some likable Republican candidates, but the current Republican caucus has become extremist and toxic, and by electing good Republicans, you strengthen that toxic caucus, unfortunately. I agree with the voting recommendations of Riley Sweeney in his 2014 Voting Recommendations post, mostly with Cascadia Weekly (see page 10 of the Oct. 14 issue), and with Flip Breskin (below). So there’s no need for me to say more than recommending you take advantage of these resources. ignore this email if you’re not interested in what I think of politics. not vote, we will lose. crazy for the state supreme court! Not qualified. reforming, a single issue candidate is not a good choice for the state’s high court. only for the benefit of big business, or run to best serve the whole community’s needs. between the two candidates will show up across the board. the needs of the farmers who feed us. Some single issues are worth my vote. positions of the candidates before us. On candidates I’m voting with the Democrats. Washington women’s access to all forms of reproductive health, including birth control. 206-450-5790. And talk with your friends. Let’s do it! or extending measures that already exist. The vote does not actually make a difference. appear on next year’s general election ballot. (Copied from the Democrats mailing). chance of keeping public influence over the coal train decision. “The Voting Information Project (VIP), developed by The Pew Charitable Trusts, Google, and election officials nationwide, offers cutting-edge technology tools that give voters access to the customized information they need to cast a ballot on or before Election Day. To learn more about the Voting Information Project, visit here.